Today Lindsay breaks down some of the best options for cooking classes in Madrid. From basics of paella and sangria to the complex techniques of modern cuisine, Madrid is home to great options for novices and pros alike. Spanish food is beautiful simplicity at its finest. The use of fresh, seasonal ingredients masterfully combined into lovely dishes make it one of the most accessible international cuisines. That means that if you’ve fallen in love with Spanish food during your time here, it’s very easy to recreate at home. No weird ingredients you can’t find at a regular grocery store needed! As Spain’s booming, bustling capital, there’s no better place to learn the secrets of Spanish cooking than Madrid. 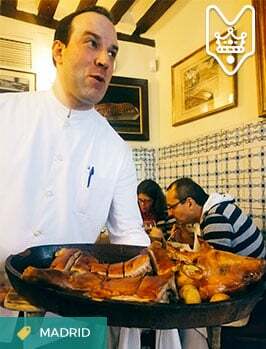 Here, you’ll find all different kinds of regional Spanish cuisines and cooking techniques, as well as those local to the community. Sound good? Tie on your apron and head to one of these cooking classes in Madrid. 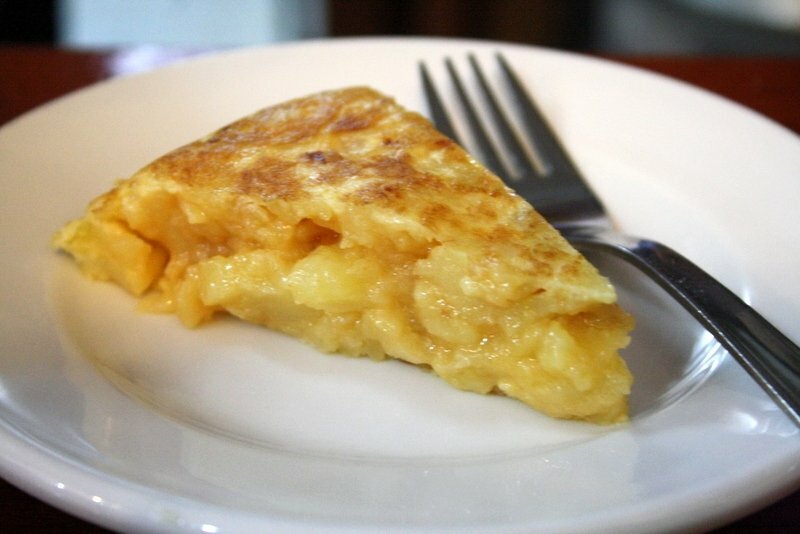 Soon enough, you’ll be whipping up a tortilla de patatas that could rival that of any abuela! 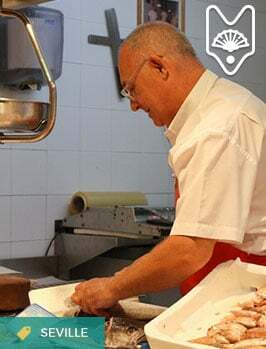 Learn how to cook like one of Madrid’s master chefs! Love to cook? 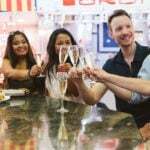 Don’t miss: Lauren’s local Madrid gastro guide, and Devour Madrid’s award-winning foodie experiences – food tours, tapas tours & wine tastings! 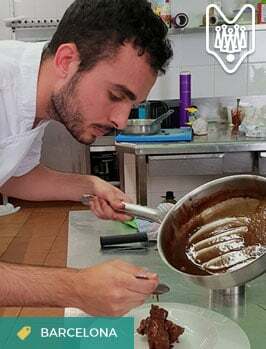 Founded by a team of passionate locals dedicated to sharing their love of Spanish food with visitors, Cooking Point offers some of the most authentic cooking classes in Madrid. From their privileged location right in the heart of Barrio de las Letras, they offer morning and evening classes in English where you’ll learn the secrets behind several Spanish classics as you whip them up. Learn how to make Spain’s most famous dish at the paella class, which includes a trip to the vibrant Antón Martín Market to pick up fresh ingredients you’ll use in the rice. Another fabulous option is their evening tapas cooking class, where you’ll learn how to make 5 traditional tapas, a dessert, and sangria! Learn how to perfect the art of the perfect tortilla in Cooking Point’s tapas class! 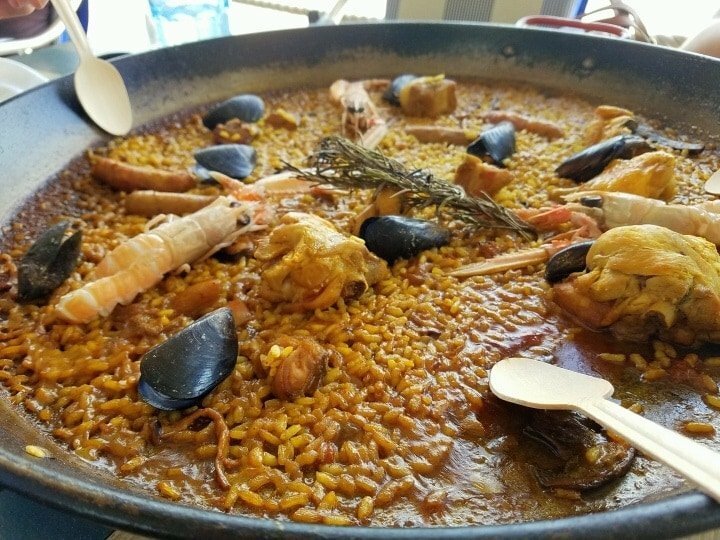 Paella Classes Madrid offers one of the most intimate experiences on this list. Run by a local husband-and-wife team of expert chefs, the experience actually takes place right in their own home! You’ll feel as if you’ve been invited over to a friend’s house as Noé and Lisa show you how to craft the perfect paella from scratch (homemade stock and all!) in their gorgeous kitchen. Although it’s one of the newest cooking classes in Madrid (they started up in 2017), they each bring years of knowledge and kitchen experience to the table. Check out that crispy crust on the bottom—the sign of an excellent paella! 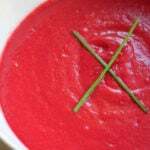 If you want to experience one of the most diverse cooking classes in Madrid, look no further! Soy Chef offers so much more than just Spanish cooking classes. Their experiences offer an insider’s look at Spain’s incredible cuisine and the meaning behind each delicious bite. 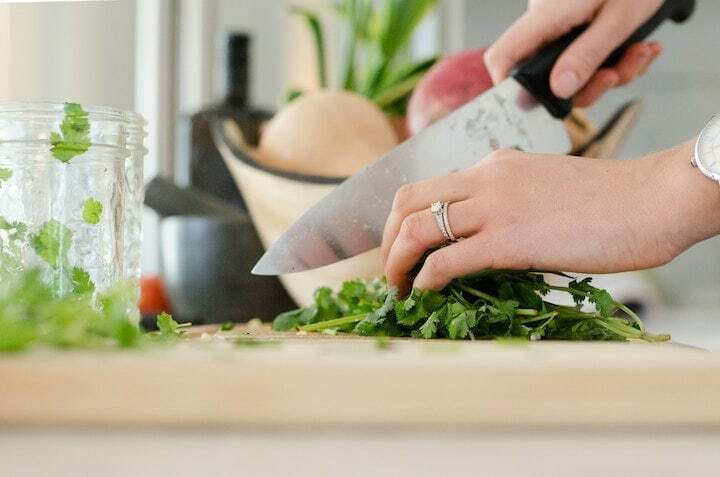 In addition to cooking classes for all levels, they also feature wine tastings, gin & tonic workshops, classes for kids and international cuisine workshops. Not all experiences are offered in English, so this would be a perfect option for anyone who’s up for the challenge of practicing their Spanish! 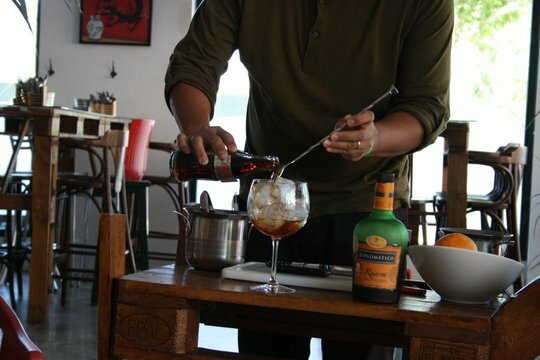 Learn the secret to a perfect cocktail at one of Soy Chef’s unique workshops! This two-in-one space nestled in the heart of the quirky Chueca neighborhood will delight both foodies and bookworms! Cook Madrid‘s cooking classes in Madrid start with a tour of the San Antón Market, then it’s time to hit the kitchen! Learn how to craft delicious Spanish delicacies from scratch under the guidance of some of the most renowned local chefs. The same locale also houses the A Punto Bookstore, home to more than 6,000 cookbooks in both Spanish and English! And as a bonus, they also host wine, beer and spice tasting events in their cozy tasting room. With an entire onsite cookbook shop in addition to their cooking school, Cook Madrid/A Punto is a Spanish food lover’s dream come true. For some of the most exclusive cooking classes in Madrid, Alambique is your best bet. 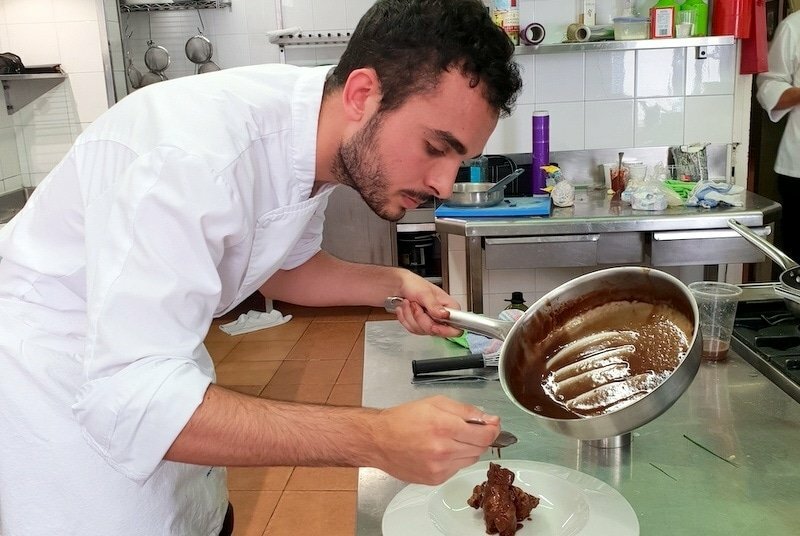 They offer experiences focusing on a variety of cuisines and techniques, and their Madrid courses are easily the best. These experiences are a great option for families or small groups of friends. Your instructor is an expert chef with decades of culinary experience. You’ll prepare the meal under their guidance in a private professional kitchen before sitting down to enjoy the fruits of your labor with exquisite Spanish wine. Read more: Learn about Lauren’s experiences taking cooking classes in Seville, León and Vejer de la Frontera. And follow her culinary school journey in professional culinary school in Barcelona. Great post, I think cooking boosts the level of self-confidence and self-esteem specially in children.